Welcome to the Austin event planning city guide. Maybe it's the historical distinction or political prominence. Perhaps it's the thriving cultural scene or "anything goes" atmosphere. 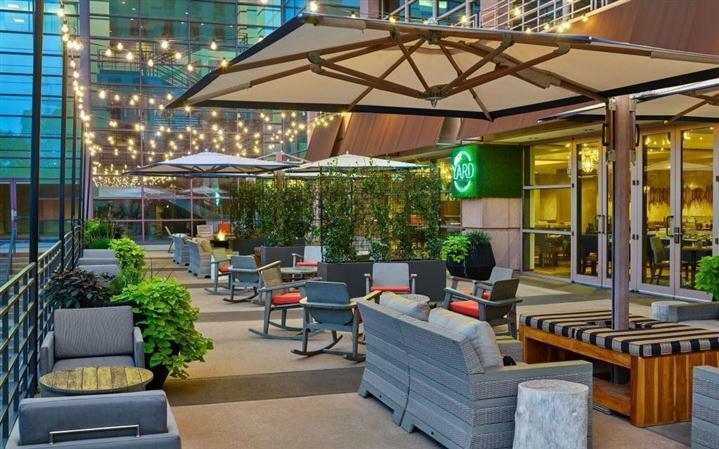 It could even be the intoxicating rhythms emanating from more than 250 live music venues, or even the alluring number of Austin meeting hotels. 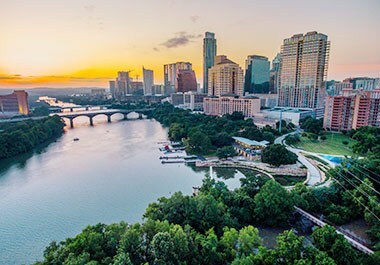 Whatever the reason meeting planners choose Austin as their next event locale, it's never surprising that more than 24 million people visit this gorgeous Texas City every year. Though fairly convenient to fellow Texans (being fewer than 200 miles away from Dallas, San Antonio, and Houston), Austin is equally accessible to all travelers. Voted Best Domestic Airport in the United States by the Airports Council International, Austin-Bergstrom International Airport offers more than 350 daily flights with non-stop service to more than 65 domestic and international destinations. Once inside the city, transportation has never been easier or more affordable. Whether guests opt for the $0.50 direct airport bus or one of the public buses making 3,000 stops around the city. 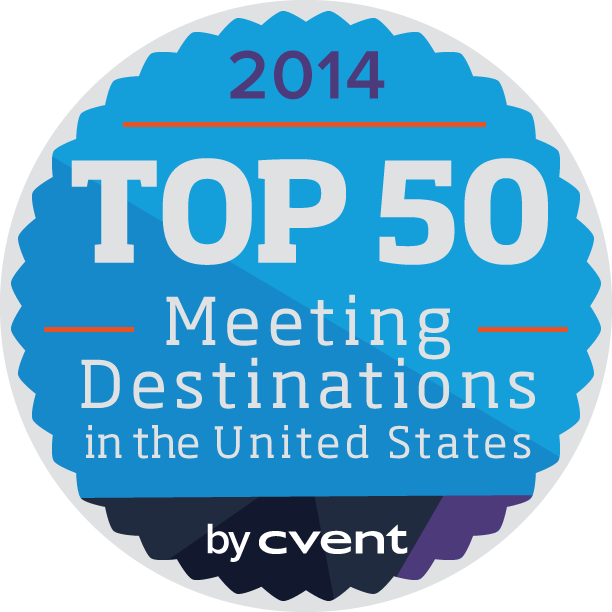 Austin's meeting facilities are equally amenable to guests. 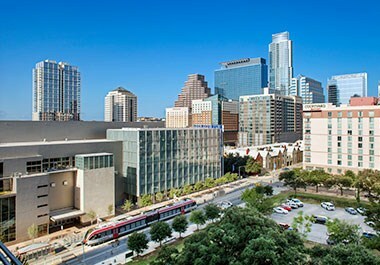 The dynamic Austin Convention Center headlines the city's meeting options with nearly 900,000 gross square feet of space. 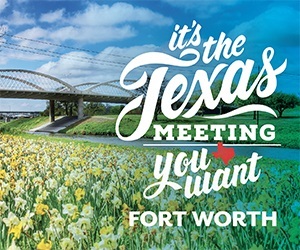 Boasting five contiguous, column-free exhibit halls and two ballrooms – including the largest in the state – the convention center is also conveniently located across the street from 800-room Hilton Austin and the new 1,048 room Fairmont Austin, and two blocks away from the 1,012-room JW Marriott Austin. To top it off, the center is home to state-of-the-art technology that includes a communication infrastructure capable of moving voice and video data at one billion bits per second. 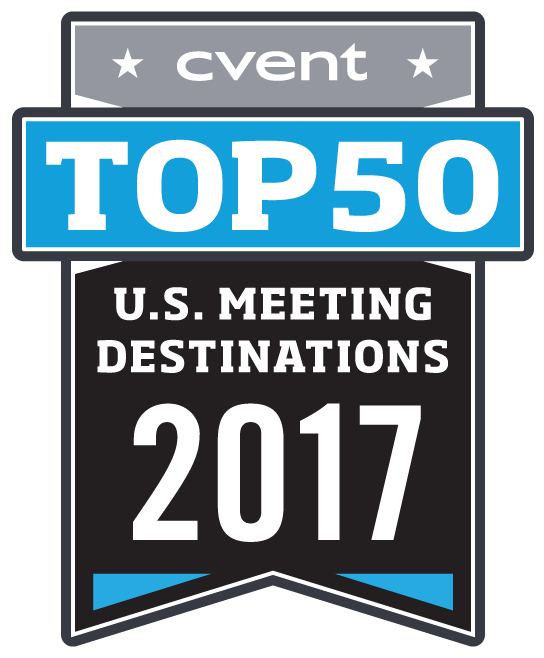 Nearby, both the Palmer Events Center and Travis County Exposition Center round out Austin's large-scale meeting facilities. The two levels at Palmer provide 95,000 square feet of space. 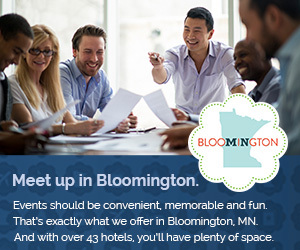 Its five meeting rooms are an ideal spot for guests to convene while overlooking the city skyline and surrounding park. Just 15 minutes from downtown, the Travis County Exposition Center features a range of varied spaces. 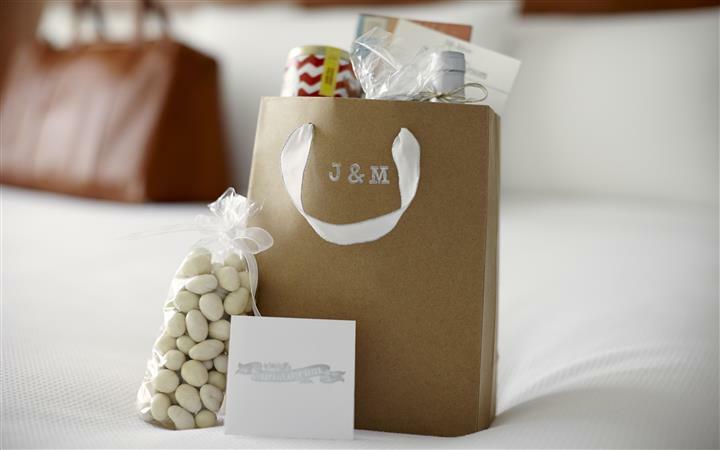 Its 20,000-square-foot Banquet Hall is one of the largest meeting rooms in the city, while the 10,000-square-foot Skyline Club boasts panoramic views of downtown. 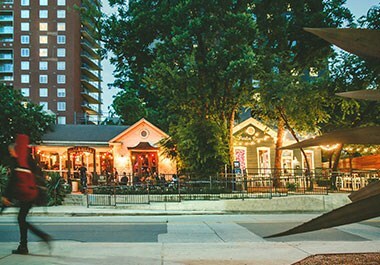 Though such spaces predictably draw hundreds of events and meetings each year, smaller, unique Austin event venues certainly do not disappoint. The Contemporary Austin – Jones Center's location offers elegant spaces where guests can enjoy private access to exhibitions and floor-to-ceiling windows that afford striking views of the city. Or add a touch of culture and class to seminars by hosting them at one of the George Washington Carver Museum's three conference rooms. Looking to take advantage of Austin's 300 days of sunshine? Let tranquil Lady Bird Lake be the backdrop for your event by charting a private cruise for up to 80 people with Lone Star Riverboat Cruises. Back on land, the Umlauf Sculpture Garden and Museum's outdoor terrace and glass-enclosed conservatory are tranquil settings for receptions and black-tie affairs. 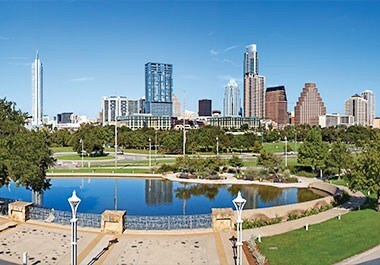 Austin's major industries include high-tech manufacturing, software, and information services. 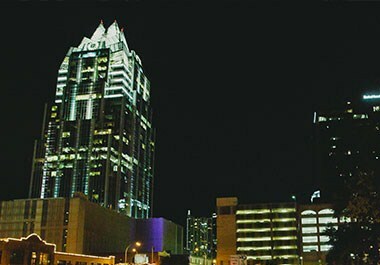 In addition to being the state capital, the city serves as headquarters for such corporations as 3M, Hoovers, Inc., National Instruments Corp., and Whole Foods Markets, Inc. Higher learning also holds a strong presence in the city, as Austin is home to the University of Texas at Austin, St. Edward's University, Huston-Tillotson University, Concordia University, and Austin Community College. 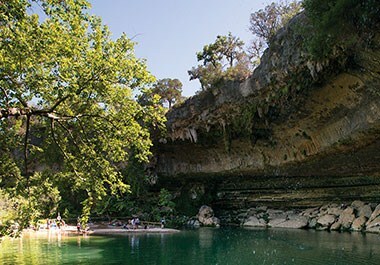 Situated on the banks of the Colorado River, Austin traces its origins back to nomadic tribes of Tonkawa, Comanche, and Lipan Apache Indians that once frequented the area. It was not until the 1830s when the first permanent settlement in the region was established and named Waterloo. The city, renamed Austin, was later selected to be capital of the Republic of Texas. When it nearly lost this status to Washington-on-the-Brazos, proud Austinites defended the national archives stored in the city by force and the switch was never made. Today, Austin remains the capital of Texas, and its residents continue to be just as proud of their home's political and historical prominence. Marking the city skyline, the Renaissance Revival-style Texas State Capitol is one of the nation's most distinguished such buildings. Here, visitors can take a free tour of the magnificent structure, or simply explore the capitol grounds where 17 monuments honor prominent Austin figures. The Bullock Texas State History Museum expertly encapsulates the story of Texas with three floors of exhibits and two theaters. Catch a glimpse into the lives of early Texas settlers and soldiers, and end the trip with a look at how Texas' key cities link the great state together. Though residents of this Southern city certainly have strong ties to the region, Austin's population of nearly 950,000 people is a diverse blend of cultural groups. With a global population hailing from Europe, Africa, Mexico, and Asia, the city proudly celebrates its diversity in its unique neighborhoods and cultural attractions. The city's Blanton Museum of Art is home to one of the most comprehensive collections of Latin American art in the country. Over 1,800 pieces in the collection represent over 600 artists from Mexico, South and Central America, and the Caribbean. Austin is also home to George Washington Carver Museum, which has played a key role in the collection, preservation, and exhibition of African American historical and cultural material. Austin's Asian influence shines in event sites such as the wildly popular Isamu Taniguchi Japanese Garden at Zilker Botanical Garden, which features a Japanese teahouse, koi ponds, and the famous "Bridge To Walk Over the Moon." Though varied, Austin's culture is by no means disconnected. In fact, it is the celebration of uniqueness that defines the city. And whether with the Carnaval Brasileiro, Juneteenth, or the popular Austin City Limits Music Festival, celebrate it does. As the Live Music Capital of the World®, Austin's more than 250 locations to see live music keep the party going long after the official events have ended. Jazz, blues, hip hop, metal, and more meet at popular music neighborhoods such as the Red River District, Rainey Street, Warehouse District, South Congress Avenue, and Sixth Street. On the famous and historic Sixth Street, guests can enjoy fresh Mexican delights and smooth margaritas at Iron Cactus, then head to The Parish to enjoy the tunes. Whether guests are partying the night away or spending an afternoon taking in history and culture, they are sure to love this city. The city of Austin enjoys more than 300 days of sunshine every year and a comfortable average year-round temperature of 65°F. Austin's humid subtropical climate brings hot summers and mild winters to the city. Its summer season sees average temperatures in the 90s, occasionally reaching above the 100°F mark. The city's warmest month is July, with an average high temperature of 95°F and average low temperature of 73°F. Austin winters are mild and rarely see snowfall. January is the coldest month of the year with an average high temperature of 58°F and average low temperature of 38°F. 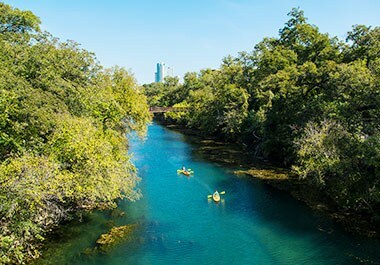 The spring months bring mild temperatures in the low to mid-70s, as well as the greatest amount of the average 33 inches of rain that fall in Austin each year. 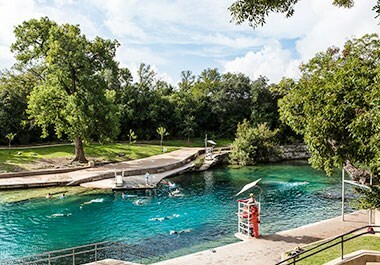 The most popular time to visit Austin is in the late summer and fall months, which bring dry days and mild temperatures. 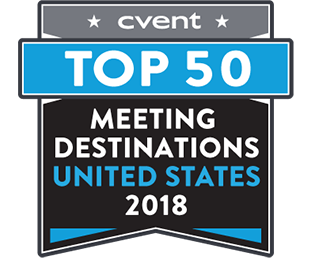 The Austin Convention Center, located in the heart of downtown Austin, is home to modern architecture, extensive amenities, and fantastic meeting spaces. 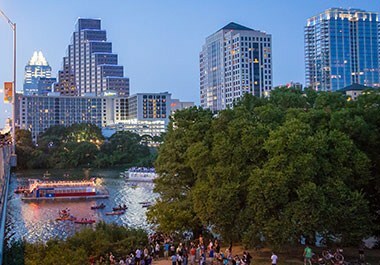 Situated between the shore of Lady Bird Lake and multiple entertainment districts, the convention center is within a short distance of 11,000 downtown hotel rooms, including the 800-room Hilton Austin and the 1,048-room Fairmont just across the street and the 1,012 JW Marriott Austin two blocks away. Constructed of native Texas materials, including rustic limestone and polished granite, the Austin Convention Center is spacious and airy, offering unparalleled views of downtown Austin thanks to a liberal use of windows. 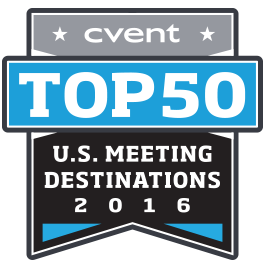 Totaling 881,400 square feet, the convention center features five contiguous and column-free exhibit halls comprising 246,097 square feet. 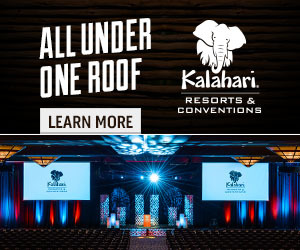 At 43,300 square feet, the upper-level Grand Ballroom, one of two ballrooms at the convention center, is the largest ballroom in the state and can accommodate up to 3,000 people. 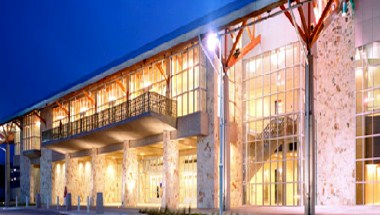 The Austin Convention Center's second ballroom totals 23,418 square feet, and an additional 54 meeting rooms can accommodate events of 10 to 831 people. 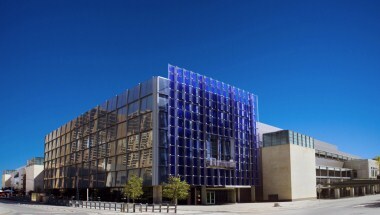 The Austin Convention Center is home to state-of-the-art technology. It boasts a communication infrastructure capable of moving voice and video data at one billion bits per second; complimentary wireless Internet; onsite audio-visual services; and onsite network administrators that design, install, and support all in-house networking needs. Levy, the center's exclusive caterer, specializes in delicious regional Southwestern fare. The center also features two parking garages, one located two blocks west of the center and the other on the northwest corner of the facility. Together, the garages can accommodate 1,685 vehicles. Committed to supporting and encouraging sustainable practices, the Austin Convention Center is registered with the U.S. Green Building Council. The building utilizes energy-efficient fluorescent lighting, solar panels, motion light detectors, and a comprehensive recycling program. Clearly a meetings hotspot, the Austin Convention Center has hosted such groups as the Texas Computer Education Association, Dell, Inc., the Texas Middle School Association and the Association of Energy Engineers. 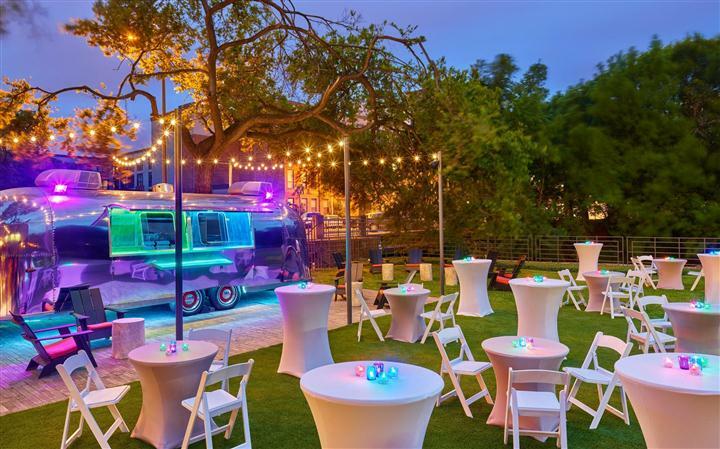 Located alongside the popular Town Lake, the spectacular 131,000-square-foot Palmer Events Center makes its home on a 54-acre cultural park in downtown Austin. Owned and operated by the city, the Palmer Events Center is a striking park pavilion structure that offers flexible floor plans and a beautiful setting. Easily recognizable by its trademark sloping and asymmetrical roof, the center's structure is not only beautiful, but functional as well. Its roof opens at the top to bring a pleasant breeze into the facility's interior space. The center is constructed of natural limestone, wood trusses, decking, textured concrete, and galvanized metal roofing, while the interior is marked by dramatic windows, stone mosaics, and limestone carvings by Austin artists. The Palmer Events Center features 70,000 square feet of exhibit space that can be divided into a 45,000-square-foot space, with room for 3,146 people, plus an additional 25,000-square-foot space with room for 2,026 people. 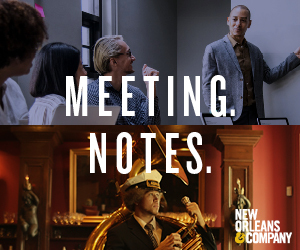 The center also features five meeting rooms, each totaling 1,000 square feet. Located on the second floor of Palmer Events Center, these well-appointed meeting rooms offer fantastic views of downtown Austin and the surrounding park. Onsite audio-visual technology and catering services are available. The recipient of many major awards, Palmer Events Center has been recognized for its superior design by the American Institute of Architects, Texas Society of Architects and Metal Architecture magazine. The center is also the recipient of the Austin IMPACT Award and Austin Commercial Real Estates' Public Sector Award; both awards recognize the center's positive impact on downtown Austin and the quality of urban living. 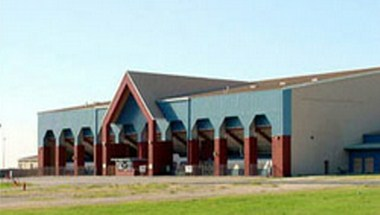 The Palmer Events Center has hosted such groups as the Greater Austin Restaurant Association, Austin Energy Department, Sysco Food Services, and the Texas State Historical Association. Austin-Bergstrom International Airport (ABIA) is a state-of-the-art airport with 25 gates, full customs facilities ready for the international traveler, and two parallel runways including a 12,250-foot runway. 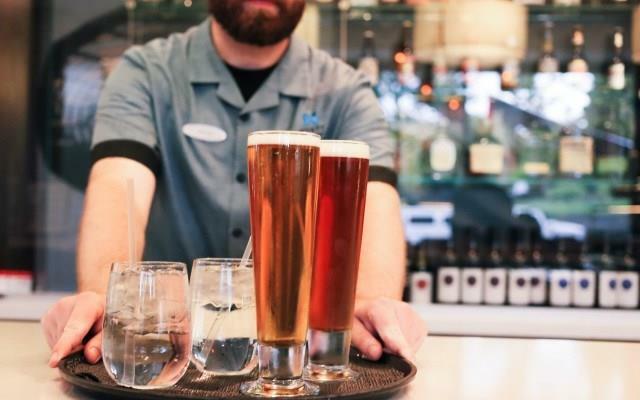 Easy to get to (only seven and a half miles from the Austin Convention Center and downtown Austin) and easy to get through, passengers enjoy exceptional customer service Austin-style, with more than 20 live music performances each week, art exhibits, and award-winning food. In operation since 1999, the airport has roughly 350 daily flights with nonstop service to more than 65 destinations, including international flights to London, Frankfurt, Cancun, Mexico City, San Jose Del Cabo, Dominican Republic and Toronto. A record 12.4 million passengers traveled through Austin-Bergstrom in 2016. Austin is one of only seven airports with year-round service to all United hubs. Live music has been a distinguishing feature of the airport since its Music in the Air program launched in June 1999, just one month after the airport opened. What started as two performances per week has grown to more than 20 shows per week in six different venues throughout the airport: Ray Benson's Roadhouse, The Saxon Pub, Annie's Cafe & Bar, Austin City Limits/Waterloo Records & Video, and Ruta Maya. The airport features a variety of amenities, including local restaurants, banks and currency exchange, gift shops, newsstands, and chair massages. Passengers can use the airport's terminal-wide Wi-Fi for free up to 90 minutes. Nine rental car companies are located onsite, with convenient pick-up and drop-off just a short walk from the terminal. SuperShuttle, Capital Metro's Airport Flyer, and cabs are other ways for passengers to get from the airport to downtown locations. In April 2017, the new 30,000-square foot South Terminal opened, equipped to handle 500,000 passengers per year. Highlights of the stylish new terminal with a cool, retro ‘70s vibe include food trucks and kiosks, an indoor/outdoor waiting area with a live music stage and bar, two TSA security check lines, and shuttle service to the main Barbara Jordan Terminal. Construction is currently underway for a nine-gate expansion at the Barbara Jordan Terminal. When completed in 2019, the terminal will have 33 gates, an outdoor patio, new restaurants and shops, art and music, plus family- and pet-friendly spaces. A new six-level garage that will offer 6,000 covered parking spaces within walking distance of the Barbara Jordan Terminal is currently under construction and expected to open in 2018. The Austin Amtrak station is located on North Lamar Boulevard. Servicing the Texas Eagle route, trains run daily between Chicago and San Antonio and three times per week between Chicago and Los Angeles. The station is open Monday through Friday from 7:15 AM to 9:30 PM. Austin's public bus system is part of a 500-square-mile Central Texas system of more than 3,000 bus stops and 53 routes. Austin is serviced by 19 local bus routes, 13 limited stop/flyer routes, eight express routes, 20 University of Texas shuttle routes, and five downtown "Dillo" circulator routes. The fleet of approximately 400 buses services 130,000 riders each day. The Austin-Bergstrom International Airport is serviced by the Route 100 Airport Flyer route, which connects the downtown area to the airport lower level. The Austin Convention Center is serviced by the 17 Cesar Chavez Route, which stops just a few blocks away from the center. All express buses offer free wireless Internet service, while the entire bus fleet is widely known for being clean and efficient. Youth fares for children ages 6-12 are $0.25 for local service and $0.50 for express service. Adult fares are $0.75 for local service and $1.50 express service. Children under 5 ride for free. An all-service day pass is $3 per passenger. Slated to begin service in late 2008, Austin's new Capital MetroRail service will run 32 miles of existing freight tracks between Leander and downtown Austin. The Red Line will service nine stations, including a stop right in front of the Austin Convention Center. Each of the six vehicles in the fleet will hold 200 passengers and offer free wireless Internet service. During the initial service period, MetroRail will run weekdays every 30 minutes during morning and evening rush hours; service times will be expanded after the initial testing period. MetroRail fares will be $1 for one zone and $1.50 for two zones. Several rental car agencies, including but not limited to ACE Car Rental of Austin, Advantage, Alamo, National, Avis, Budget, Dollar, Enterprise, Hertz, and Thrifty, are represented at the Austin-Bergstrom International Airport. Agency counters are located outside of the baggage claim on the terminal ground floor. In the city, taxis can be hailed on the street throughout the downtown region or found at hotel taxi stands. Taxis are also readily available outside the Austin-Bergstrom International Airport's baggage claim area on the ground floor. Visitors should expect to pay about $25 in taxi fare from the airport to downtown Austin. Car2go is another transportation rental option. Users pay a one-time membership fee and have access to 350 vehicles around town for $0.41 per minute. Reserve a car ahead of time using the mobile app, or pick one up spontaneously at dozens of convenient locations all over Austin, then just drop it off at the nearest Car2Go parking spot when you're finished. Austin is home to several pedicab companies. These bike chauffeurs can be seen cycling all over downtown, transporting visitors and locals alike to their next destinations. Most drivers work for tips only. With dozens of bike shops, rental companies and tour facilities to choose from, both Austinites and visitors can get from point A to B and while staying fit at the same time. The Austin B-Cycle Program set a North American bikeshare record during SXSW 2014, with 2,158 total checkouts and 7.8 checkouts per bike. Uber and Lyft are back as of May 29th, 2017 and fully operating in Austin. Payment is automatic through the app and fares are evaluated based on local demand. This Phoenix-based transportation network company recently made their debut in Austin. The consumer can request rides up to seven days in advance, request preferred drivers and no surge pricing. Riders must have a referral code from another customer to join the app. Originating in Boston, Fasten announces their Austin arrival this June, 2016. Fasten provides a ride-share experience that's at a low cost to the rider, and drivers can earn more. Riders can “boost” the arrival of a ride for faster service and can rely on no surge pricing. Riders will also be able to know their fare before ever stepping in the vehicle.